After several tireless days we have finished crunching the numbers from the more than 700 13F filings issued by the successful hedge funds and other investment firms that we track at Insider Monkey, which disclosed those firms’ equity portfolios as of September 30. 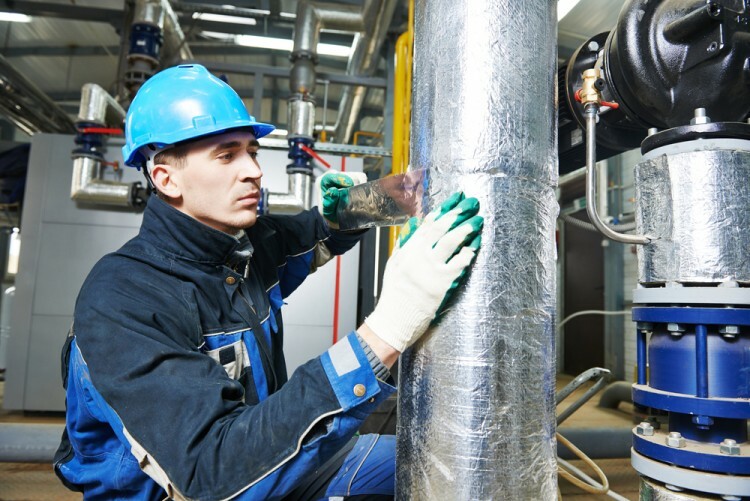 The results of that effort will be put on display in this article, as we share valuable insight into the smart money sentiment towards Jacobs Engineering Group Inc (NYSE:JEC) . Is Jacobs Engineering Group Inc (NYSE:JEC) the right pick for your portfolio? Prominent investors are selling. The number of bullish hedge fund investments dropped by 1 lately. 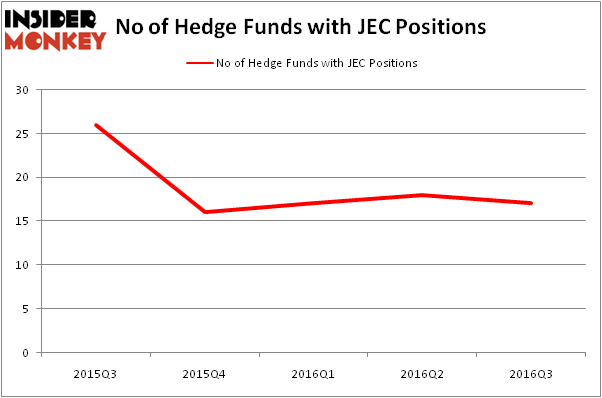 There were 18 hedge funds in our database with JEC holdings at the end of the previous quarter. At the end of this article we will also compare JEC to other stocks including The Ultimate Software Group, Inc. (NASDAQ:ULTI), Apollo Global Management LLC (NYSE:APO), and FMC Technologies, Inc. (NYSE:FTI) to get a better sense of its popularity. Keeping this in mind, let’s review the key action surrounding Jacobs Engineering Group Inc (NYSE:JEC). What does the smart money think about Jacobs Engineering Group Inc (NYSE:JEC)? At Q3’s end, a total of 17 of the hedge funds tracked by Insider Monkey held long positions in this stock, a drop of 6% from the previous quarter. Below, you can check out the change in hedge fund sentiment towards JEC over the last 5 quarters. With the smart money’s capital changing hands, there exists a select group of notable hedge fund managers who were increasing their stakes meaningfully (or already accumulated large positions). Of the funds tracked by Insider Monkey, Cliff Asness’s AQR Capital Management has the most valuable position in Jacobs Engineering Group Inc (NYSE:JEC), worth close to $67.6 million, accounting for 0.1% of its total 13F portfolio. The second most bullish fund manager is Joel Greenblatt of Gotham Asset Management, with a $22.7 million position; 0.3% of its 13F portfolio is allocated to the company. Remaining professional money managers that hold long positions consist of Israel Englander’s Millennium Management, Chuck Royce’s Royce & Associates and Jonathan Barrett and Paul Segal’s Luminus Management. We should note that Luminus Management is among our list of the 100 best performing hedge funds which is based on the performance of their 13F long positions in non-microcap stocks. Infosys Ltd ADR (INFY): Are Hedge Funds Right About This Stock? How Big Lots, Inc. (BIG) Stacks Up To Its Peers Biotech Movers: Heat Biologics Inc (HTBX) And Achaogen Inc (AKAO) Has Hedge Fund Ownership in Welltower Inc. (HCN) Finally Bottomed Out? Should You Buy BJ’s Restaurants, Inc. (BJRI)? Is WebMD Health Corp. (WBMD) A Good Stock To Buy?